This Heavy Duty Petrol Operated Star Picket and Post Pounder Driver is simple, easy to use, are durability and require little maintenance. 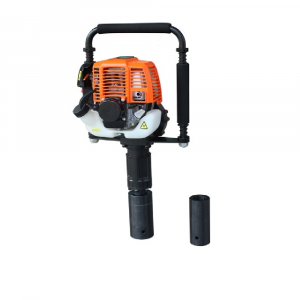 Ideal for the hire, fencing, landscape contractors, farming industry and high use operators. 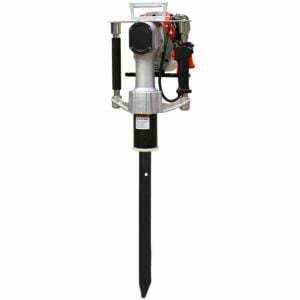 - Used in remote or rural farm work or anywhere a portable self powered post driver required. 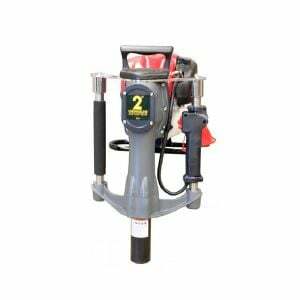 World's lightest, lowest displacement engine handheld petrol post driver. Rubber Sponge to greatly reduce the recoil force.